How strange that, in these times fraught with war, economic recession, poor housing markets and all kinds of bad news, TV on the Radio sounds more party-ready than ever. With a few notable exceptions (“New Health Rock,” “Wolf Like Me” and original breakout “Staring at the Sun”) scattered across its catalog, the innovative Brooklyn quintet has most often opted for the meditative over the motivational, the somber over the sensational. Not that there’s anything wrong with that. TVotR is also frequently gorgeous, triumphant and astounding; you just usually don’t want to dance to its music. 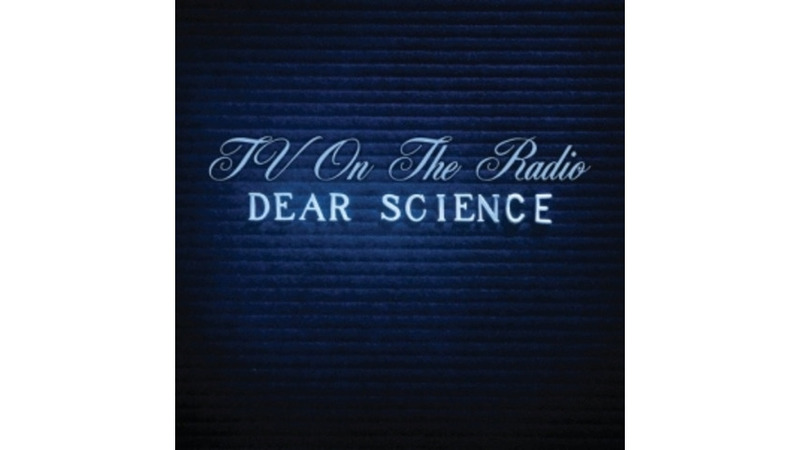 While the band has wowed with slow(er) jams (see 2003’s “Young Liars,” 2004’s “Ambulance,” 2006’s “Province”) in the past, it’s the up-tempo bangers and funky grooves on Dear Science that truly resonate. Change is in the air, as we’ve been told ad infinitum over the course of this longer-than-usual election season, and TVotR is no exception. The band’s third full-length album opens with “Halfway Home,” which is interesting if only because the song is closing-credits epic. Silver-throated frontman Tunde Adebimpe kicks things off with buh-buh-bah-bah-bums before switching to mellifluous verses joined by claps, walls of shoegaze guitars and various percussion, to name just a few of the accompaniments. Layering is the name of the game here. It’s a style TVotR has been brandishing for years, and the band is only getting better at it. When the revved-up rage subsides, TVotR has trouble keeping the ante high. Although songs like “Stork & Owl” and “DLZ” contain some interesting instrumentation and a few inspired moments, they mostly exist as skip-button fodder, watering down Dear Science’s most sublime moments. Still, the band strikes down-tempo gold on tracks like “Family Tree” and “Love Dog.” Adebimpe shines brightest on the latter. Much like Hold Steady frontman Craig Finn, it’s impossible to discuss TVotR without examining the band’s vocal centerpiece. And also much like Finn, no one really sings or writes lyrics quite like Adebimpe, and even his band’s lesser songs sound better when you strip away the music and read his words by themselves. On “Love Dog,” he croons of a metaphorical pup that’s anonymous to all. In one of many memorable verses from Dear Science, Adebimpe sings in perfect rhythm, “Curse me out in free verse and / Wrap me up and reverse this / Patience is a virtue / Until its silence burns you.” It’s enough to make a guy wish he’d paid more attention in his college poetry courses. Each successive piece of music TVotR has put out can be classified as a grower, revealing nuance and surprises over time, especially when considered in the context of the band’s live show (if you’ve seen them, you know they completely re-write their catalog onstage). Dear Science will likely fall into this category as well. In the meantime, it stands as a sometimes-confusing document of a particular time and place in the story of this constantly evolving art project.